Visit Stonescape Supply in Utica to purchase bulk or bagged materials. For samples or more information, please contact us. 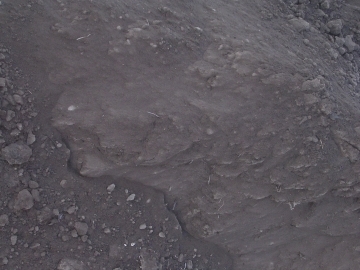 A dense graded base aggregate, produced by crushing and screening natural gravel. A material formed by the natural disintegration of numerous types and colors of rocks by glacial or river bed action. They vary in size from 1 1/2 in. to dust. Coverage: 110 sq. ft per yd @ 2 in. deep. Yard Weight: 3200 lbs. Crushed slag, angular shaped. This stone is dark grey in color and noted for how well it works as a compacted base under brick paving projects. Coverage: 110 sq. ft per yd @ 2 in. deep. Yard Weight: 2500 lbs. Crushed slag, very fine. This stone is dark grey in color and noted for how well it works as a compacted base under brick paving projects. Coverage: 110 sq. ft per yd @ 2 in. deep. Yard Weight: 2600 lbs. Angular shaped, this stone is dark grey in color and noted for how well it works as a compacted base under brick paving projects. Also recommended for use as a driveway material. Coverage: 110 sq. ft per yd @ 2 in. deep. Yard Weight: 3200 lbs. 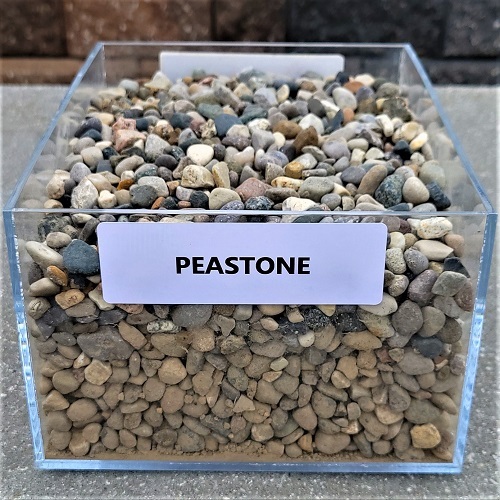 A local Michigan cobblestone, about the size and shape of peas. Good to use in areas that need extra drainage, such as under decks, around basements, and near downspouts. Very hard and durable, with a large range of colors. Coverage: 125 sq. ft per yd @ 2 in. deep. Yard Weight: 3000 lbs. 100% recycled lumber product shredded for optimum mulching and color retention. Excellent mulch for both commercial and residential needs. Coverage: 120 sq. ft. per yd. @ 2 in. deep. Yard weight: 600 lbs. The finest quality decorative mulch available. 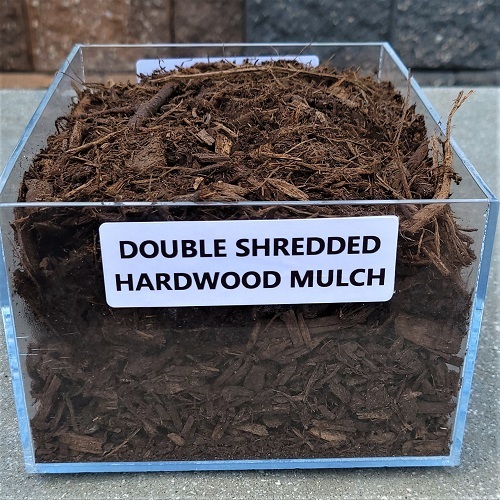 Distinguished by it’s rich reddish-orange color, this top quality, aromatic shredded slab wood bark is known for its excellent texture and color retention. Cedar is recommended for high quality residential and commercial landscape needs. Excellent bug deterrent. Coverage: 120 sq. ft. per yd. @ 2 in. deep. Yard weight: 600 lbs. 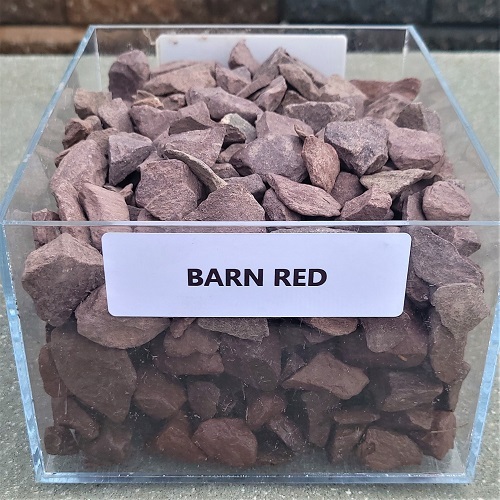 Our most economical decorative mulch, known for it’s extremely fine ground consistent texture and it’s soft reddish brown color. Excellent spreading ability and coverage for residential and commercial sites. Coverage: 120 sq. ft. per yd. @ 2 in. deep. Yard weight: 600 lbs. 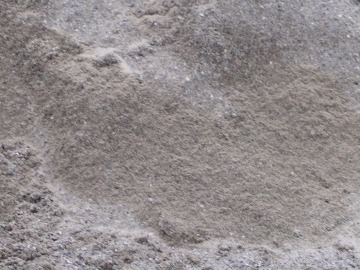 The most shock-absorbent playground surface available made with granular rubber particles, rather than shredded rubber. Virtually maintenance free and keeps it’s consistency and sponginess for a lifetime. Odor free. Coverage: 150 sq. ft. per yd. @ 2 in. deep. Yard weight: 755 lbs. A white stone with soft pastel colors of pink, lavender, and occasionally yellow mixed in. Angular shaped pieces approx. 1”-2” in size. Coverage: 132 sq. ft. per yd. @ 2 in. deep. Yard weight: 2640 lbs. Deep burgundy in color, angular in shape, and approx. 1’ in size. Very hard and durable. Coverage: 144 sq. ft. per yard @ 2” deep. Yard weight: 2400 lbs. 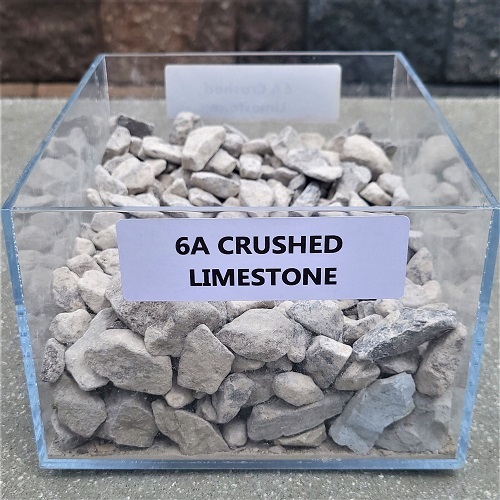 Very lightweight stones, yield high coverage per yard. Shades of brown in color with occasional rusty brown pieces. Expanded shale, looks a little like popcorn, approx. 1 1/2”-2” in size. Coverage: 120 sq. ft. per yard @ 2” deep. Yard weight: 1000 lbs. Very shiny, lightweight black stones. 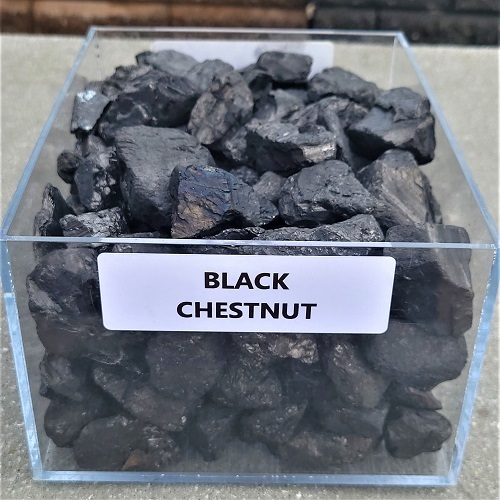 This is an anthracite coal and crushes more easily than some, so it’s not recommended for high traffic areas. Yields high coverage per yard, angular in shape, and approx. 1’ in size. Coverage: 154 sq. ft. per yard @ 2 in. deep. Yard weight: 1400 lbs. Very lightweight porous stones that yield high coverage per ton. Coverage: 143 sq. ft. per yard @ 2 in. deep. Yard weight: 1300 lbs. Very lightweight porous stones that yield high coverage per ton. Approx. 1”-2” in size. Coverage: 120 sq. ft. per yard @ 2 in. deep. Yard weight: 1000 lbs. Lots of translucent quartz pieces mixed in with soft coral pink colored stones, often with glittery veins of mica running through. Pieces are angular in shape, approx. 1”-1 1/2” in size. Coverage: 116 sq. ft. per yard @ 2 in. deep. Yard weight: 2320 lbs. Rounded stones, light tan to off-white in color. Very attractive in landscape beds and in water applications. Coverage: 128 sq. ft. per yard @ 2 in. deep. Yard weight: 2560 lbs. 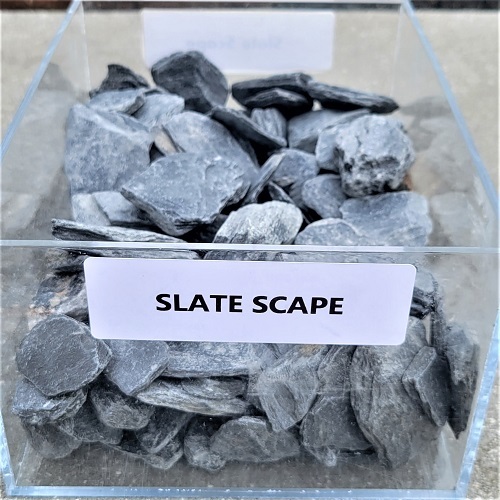 Very hard and durable dark grey stones, looks like somebody took big chunks of slate and crushed them. Angular pieces, approx. 1”-3” in size. Coverage: 144 sq. ft. per yard @ 2 in. deep. Yard weight: 2400 lbs. A local Michigan granite, very hard and durable, with a wide range of colors. It’s the sort of stone you might see on local beaches. Looks great in natural landscapes, and the rounded shapes are kind to bare feet. Approx. 1”-2” in size. Coverage: 67 sq. ft. per yard @ 2 in. deep. Yard weight: 2700 lbs. A lightweight but durable stone, the pieces are shaped like popcorn, approx. 1”-1 1/2” in size and range in color form cream, to tan, dark brown, black, and terra cotta. Coverage: 178 sq. ft. per yard @ 2 in. deep. Yard weight: 1780 lbs. Relatively lightweight, but durable stones. They are terra cotta in color, angualr in shape, and approx 3/4”-1 1/2” in size. Coverage: 145 sq. ft. per yard @ 2 in. deep. Yard weight: 1940 lbs. 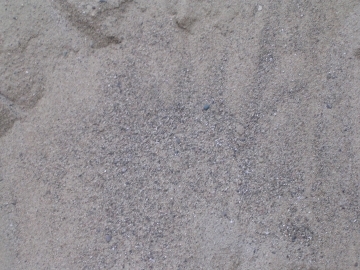 A graded fine aggregate, produced by washing and screening natural sand. A yellow to light brown material formed by the natural abrasion and disintegration of rocks by glacial or river bed action. Coverage: 110 sq. ft. per yard @ 2 in. deep. Yard weight: 2800 lbs. 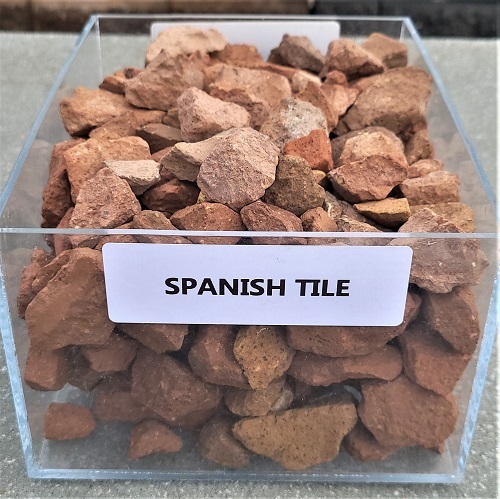 A graded fine aggregate, produced by screening natural sand, a yellow to light brown brown material formed by the natural abrasion and disingration of rocks by glacial or river bed action. The particles range in size form 3” to dust, but are typically sized 3/4” to dust. Coverage: 125 sq. ft. per yard @ 2 in. deep. Yard weight: 2800 lbs. 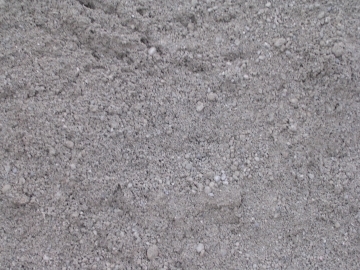 A graded fine aggregate, produced by washing and screening natural sand. A yellow to light brown material formed by the natural abrasion and disintegration of rocks by glacial or river bed action. Very fine particles. Coverage: 125 sq. ft. per yard @ 2 in. deep. Yard weight: 2800 lbs. The uppermost layer of soil, usually the top 15-20 cm. It has the highest concentration of organic matter and microorganisms, and is where most of the earth’s biological soil activity occurs. Our topsoil is double screened and of the highest quality. Coverage: 125 sq. ft. per yard @ 2 in. deep. Yard weight: 2000 lbs.